Do you want to work in a fun, loving environment? Want to earn a great wage and tips? 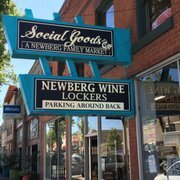 Love families and Newberg? Maybe we're a good match? Please check out this customer service job and if you think you're a good fit, click below to start the application process. As always email robin@vinooregon.com with questions/concerns. Must be over 18yrs and meet the min. requirements posted. Great at organization? systems? Accounting and all that computer stuff? Good. We need you. We are seeking to get part time help with inventory controls, payments with accounts receivable and payable as well as ensure emails and mailers are answered correctly. Please see the job description below. Thank you! We will be in touch. Feel free to email your cover letter to robin@vinooregon.com and be sure to fill out the employment application below.